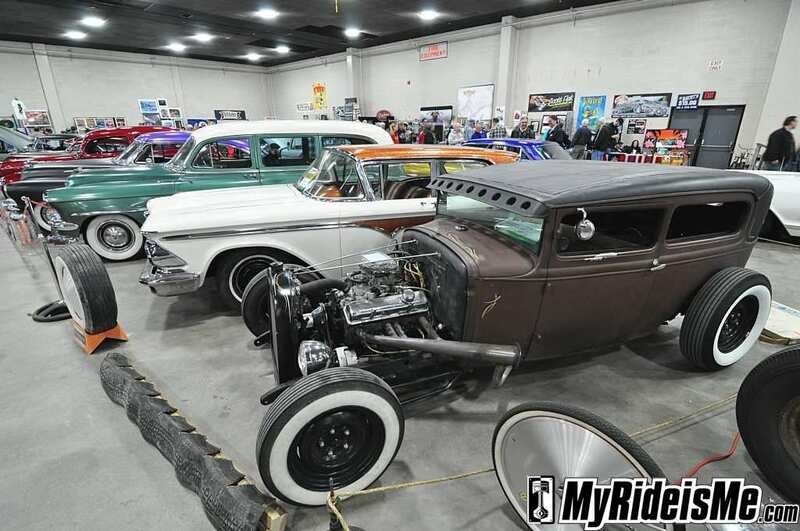 For years now Autorama has been separated into two levels – the main floor and the basement. The main floor is the area that most people used to think of when thinking of the Detroit Autorama. 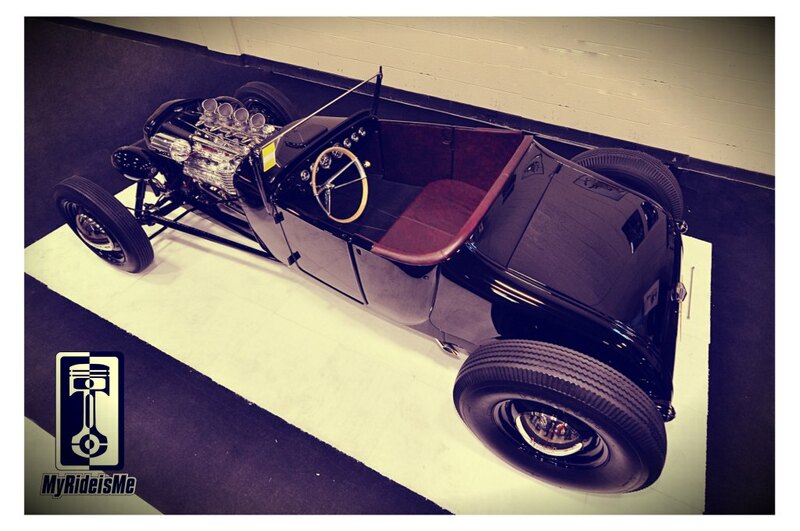 The basement is where the ‘other’ cars go… In the past this ranged from tuners to rat rods. I used to hate going into the basement, and getting past the thumping bass and laser lights of the tuner crowd just to see a couple of cool lead sleds. 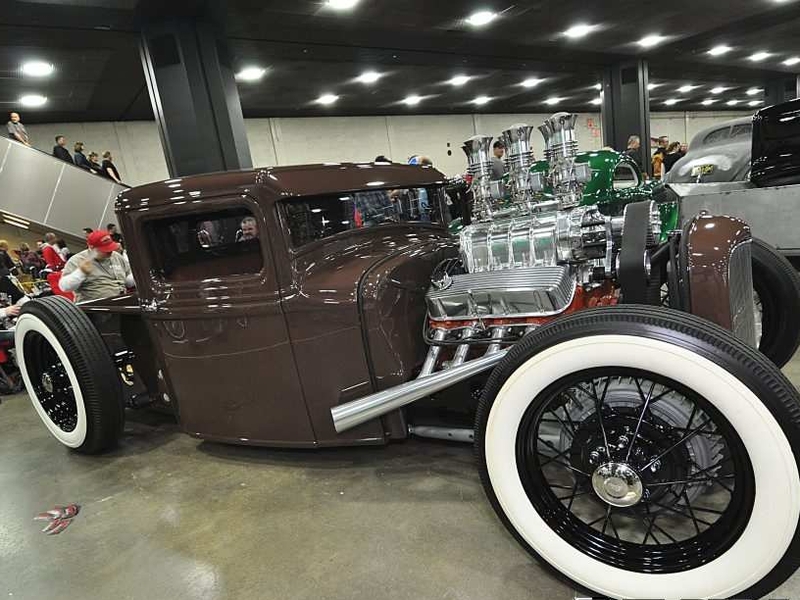 For the last four years or so, the ‘rat rod’ movement in the Detroit area has grown substantially, and with the embracing arms of show organizers (Rudi and Dennis), the basement has turned into a main event. The high gloss facade, high buck cars with their mirrored displays and bright lights upstairs becomes a distant memory as you ride the escalator down. Greeting you at the bottom is neon lights, pinup girls and rockabilly music – and a plethora of traditional hot rods, led sleds, old school choppers/bobbers and antique bikes, with a few mini bikes, race cars and custom bicycles sprinkled in. Some vehicles are in the build stage, some are finished. And some are in between. There was even a ’59 Chevy (belonging to your’s truly) that allowed people to draw on the hood. And if you hit it right, you’ll see bands like the Twistin’ Tarantulas preforming on the stage. Even the vendors have a different feel. There is Artist’s Row, featuring such artists as Thom Metz, Julie Fournier (who painted the Gene Winfield backdrop), Chad Lambert and Brown Dog Welding. You can purchase vintage clothing, plasma cut scrap metal art from Speedcult and crude shirts from our friends at Singlefinger Speed shop. If you’re looking for the ‘right’ cut and style, the Berkley Chop shop and Vanity Vixen folks will fix you up! Instead of the high polished glass plaque trophies of the upstairs, Autorama Extreme trophies are handcrafted out of old junk parts by the Poor Boys Car Club, which are all pinstriped up and coveted as much as the upstairs awards. This year our buddies at Brother’s Customs took home a few of the trophies. Leslie Dreist of Classic and Exotic out of Troy MI took home two awards with her 1942 French War bike, including the Throttle Gals Magazine Pick Award. As the basement crowd grows in popularity, and with more people than ever coming to Autorama specifically for the Autorama Extreme, the main floor has been coined “The Attic”. Singlefinger rolled out shirts stating “There’s an Upstairs?? ?’ and the entire show has swelled to well over 200 cars. Rudi stated that he turned away multiple car clubs, and a large number of great vehicles, because they simply ran out of space. Thankfully the Dead Last car club got in, along with their valve cover race track, allowing yet another cool activity to participate in. Even the kids get involved, giving them a fun and challenging way to compete in the show. The big event in the basement this year however, was the live chop top project, where the legendary Gene Winfield chopped a ’39 Chevy in three days. The crowd was so thick at times, that you couldn’t even see the car. Sparks were flying as Gene and his team of builders used a combination of MIG and gas welding to create the custom chop. 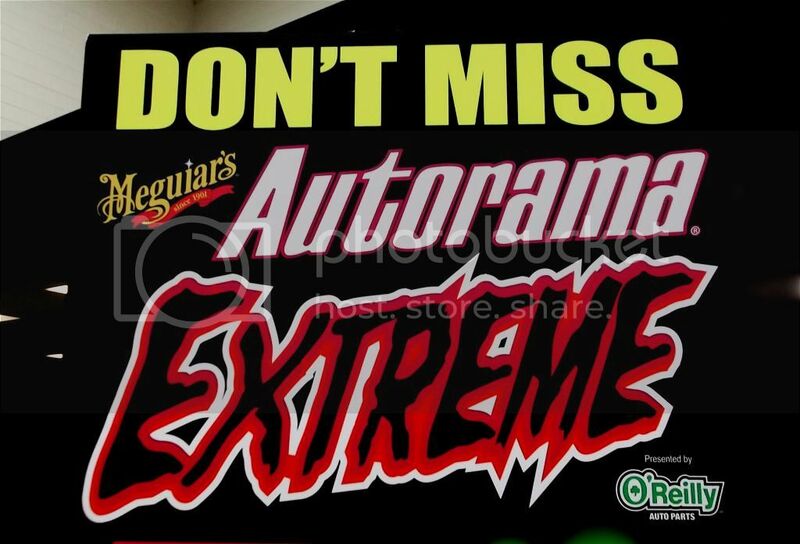 If you missed it in the past, make sure you make it to Autorama Extreme next year! 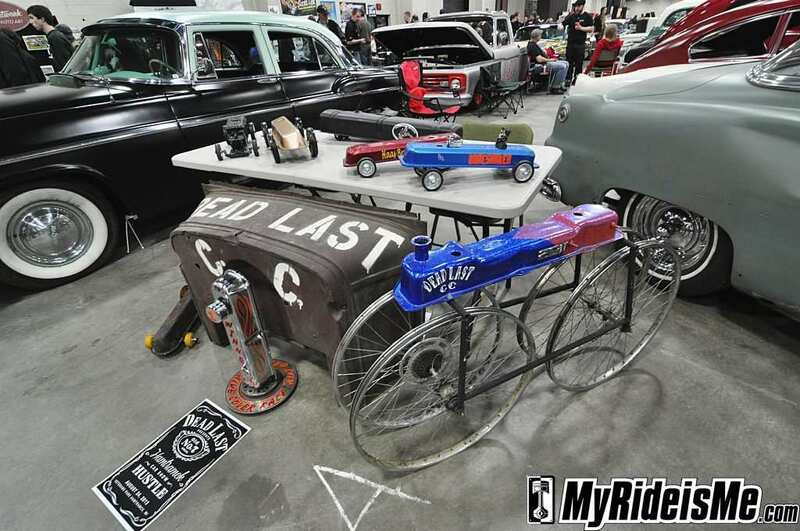 And for more pictures from the 2013 Detroit Autorama Basement show, check the Pictures from the Basement here.